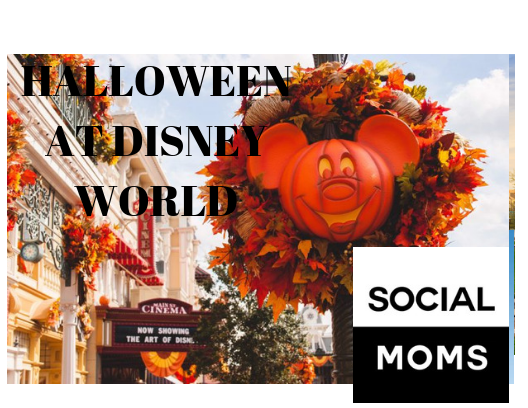 Don’t miss the parade, which features a galloping headless horseman, and the final party celebration,Happy HalloWishes, a magical fireworks show set to the creepy soundtrack of the spookiest Disney classics. Mickey’s Not-So-Scary Halloween Party is a special event and tickets must be purchased in advance. The celebration is hosted on select evenings through November 1st. Visit the Mickey’s Not-So-Scary Halloween Party official site to reserve your tickets. Haunted Mansion Tarts: Make a point of finding each of the four featured Haunted Mansion tarts, found in four different spots around the Magic Kingdom. Each tart boasts a different seasonal flavor and arrives topped with a creepy chocolate Haunted Mansion character accent. At Aloha Isle (Adventureland), find a tart filled with chocolate ganache and topped with Oreo panna cotta. Auntie Gravity’s Galactic Goodies (Tomorrowland) offers a chocolate tart filled with raspberry compote and white chocolate mousse. Liberty Square Market, located next to the actual Haunted Mansion, features a chocolate ganache-filled tart with peanut butter icing. Finally, Storybook Treats(Fantasyland) serves up a chocolate tart filled with lemon curd, strawberry compote, and strawberry mousse.